Disclosure are coming LIVE to Red Rocks Amphitheater on Monday 27th May 2019! As one of the biggest acts in Electronic Dance music – the groundbreaking Disclosure are coming to showcase a night you will never forget… with a big selection of feel good tracks as they give an effortless mix of Deep House, UK Garage, Synth Pop and Funk… Disclosure bring a solid fusion of heavy floor stomping beats and plenty of hands in the air moments! Tickets are on sale NOW – book yours before it's too late! Disclosure have become one of the hottest names on the entire Dance music scene with the duo consisting of brothers Howard (born 11 May 1994) and Guy Lawrence (born 25 May 1991). Together they formed the band back in their hometown in the UK and have quickly grown to be a mainstream, worldwide sensation. Their debut came out in 2013 and hit the big time as it was nomination for the Best Dance Album at the 2014 Grammy Awards! This of course hit the ball rolling for a successful, unstoppable career and they haven't looked back ever since. 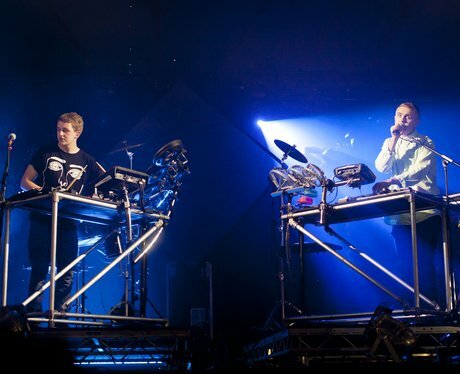 After their first album, Settle, Disclosure brought out to the world their second release of, Caracal in 2015. It also followed in the same footsteps with a Grammy Award nomination in 2016 – it seems like Disclosure sure knows how it's done! With their widely acclaimed attention and positive reviews from their studio releases and performances alike, Disclosure have gained countless radio play and features on some of the biggest mixes around the globe, from the top producers and top radio DJ's. As well as this their collaborations have been next level as they have worked with the likes of vocalist Sam Smith and with him hit the number 11 spot in the UK Singles Charts! One of their biggest singles to date includes the number two hit with "White Noise" which is still considered to be a huge club track right up until today. With their release they were voted into BBC's Radio's Hot Ten must-listen to acts… along with this triumph, they have also perfumed at some of the greatest major festivals in the world and taking to stages across Europe and Australia, including two times at the UK's Glastonbury Festival and Coachella Valley Music and Arts Festival in the US! Other North American performances have included, Lollapalooza Music Festival in Chicago, and Sasquatch! Music Festival in Washington State. These guys have toured over 40 European, American, and Canadian cities and they show no sign of stopping! 2019 brings them back to North America for their groundbreaking, unmissable dates! Don't miss out as they come to Red Rocks this Spring!